Eating fried food may taste heavenly. However, in order to keep ourselves healthy and maintain proper body growth, we need to make sure our diets meet the necessary nutrient requirements. A proper diet is one that includes fruits, vegetables, fish, dairy foods, lean meat, and so on and the benefits of having a healthy diet are numerous. 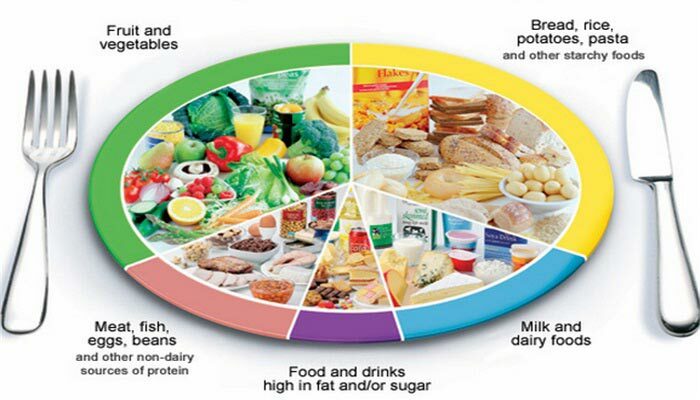 Here are some of the ways in which a balanced diet can help you maintain a healthy body. 1. Improves brain functioning – Foods that are rich in nutrients like nuts and fish are also good sources of Omega-3 fatty acids. These fatty acids have an important role to play in sending signals from the eyes to the brain while at the same time affecting people’s moods and warding of depression. The Nutrition and Health published an article in 2006 that clearly laid emphasis on the direct link between dietary factors and the functioning of the brain on a daily basis. It also found that consuming an excess of saturated fats reduced one’s ability to learn and remember while consuming a diet that has a dose of either Omega 3 fatty acids, curcumin, which is the spice used largely in making curries or vitamin E were related to improved brain function in people. 2. Helps maintain weight – A balanced diet will never contain processed foods as these foods have large amounts of fats, sugar, and calories, all of which lead to weight gain because eating more calories than your body needs causes it to get stored in your fat cells. An article published by “A Center for Nutrition Policy and Promotion” quoted that when adults or children binged on junk food more than once or twice in a week, they showed considerable weight gain. 3. Protection from diseases – By following a balanced diet, various issues like blood pressure, cholesterol levels, and so on are regulated and this helps ensure your body is in the best shape. Further, the chances of developing diseases like cancer or diabetes are lowered considerably. An article that went into print on the “Nursing Times” in the year 2005, quoted that when a balanced diet is combined with an active lifestyle, the risk of getting diseases like heart disease is significantly reduced. 4. Helps strengthen one’s immune system – When your body is invaded or breached by various micro-organisms like bacteria, fungi or parasites, the only thing that protects you in these moments is a group of cells, tissues and organs that are interconnected and together make up your immune system. When a person is malnourished or does not have the right diet, they are more prone to developing all kinds of infectious diseases. Whereas on the other hand, following a balanced diet which is rich in minerals, nutrients and necessary vitamins help keep one’s immune system strong. The British Journal of Nutrition printed a paper which stated that eating a balanced diet helps strengthen and maintain your immune system while not getting the right nutrition could impair its functioning. A healthy diet certainly has a numerous benefits that are undeniable. However, “healthy” means something different to everyone. To identify what’s best for your body from a genetic level, use a simple cheek-swab DNA test like GenoVive’s. This will tell you which foods to eat and which to avoid. “Your DNA sample provides valuable insight about your unique metabolism. Knowing your DNA makeup may be the key to give you the information you need to make healthy lifestyle choices to achieve health outcomes” states Victor Castellon, PharmD, CEO of GenoVive. So, what are you waiting for? Stop, pause, and re-think your eating habits and move toward a more balanced diet. elfin on Which Cars Will Save You Money?